During the month of January, we're taking control of paper that floods our life. If you missed any of the areas that we've already organized this month, simply click the challenge tab at the top of my blog. 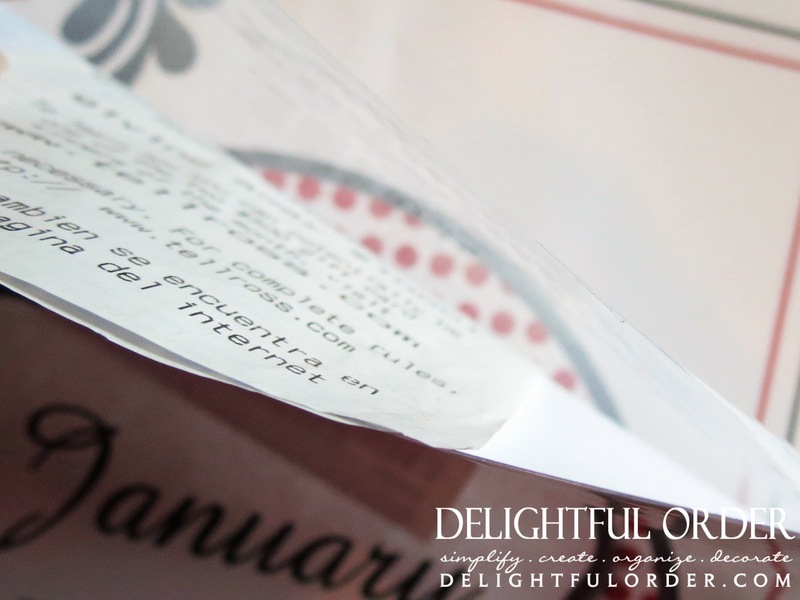 Today we're talking about organizing coupons and receipts. 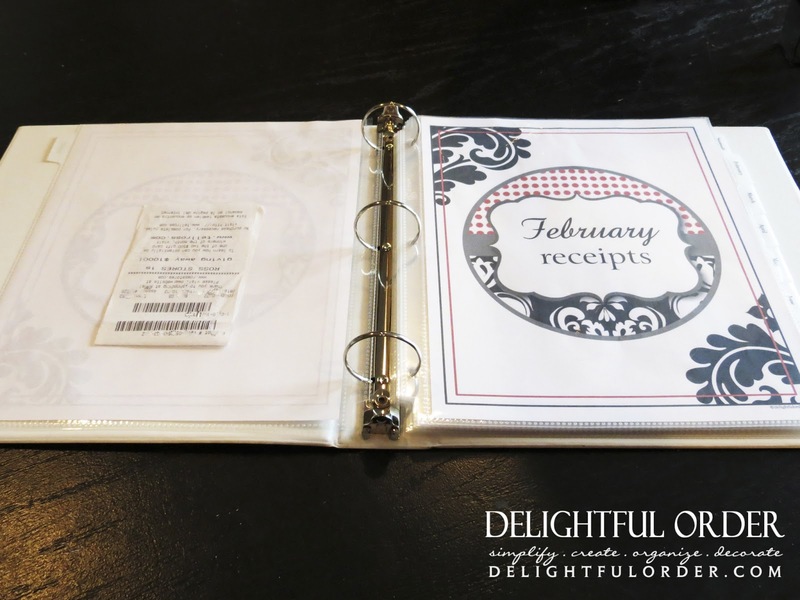 This one is another simple one and is all about creating more binders. You can find those printable pages in my Etsy Shop. I've created an editable and printable page insert, the large editable spine labels and small editable spine labels, which you can use to create any binder. 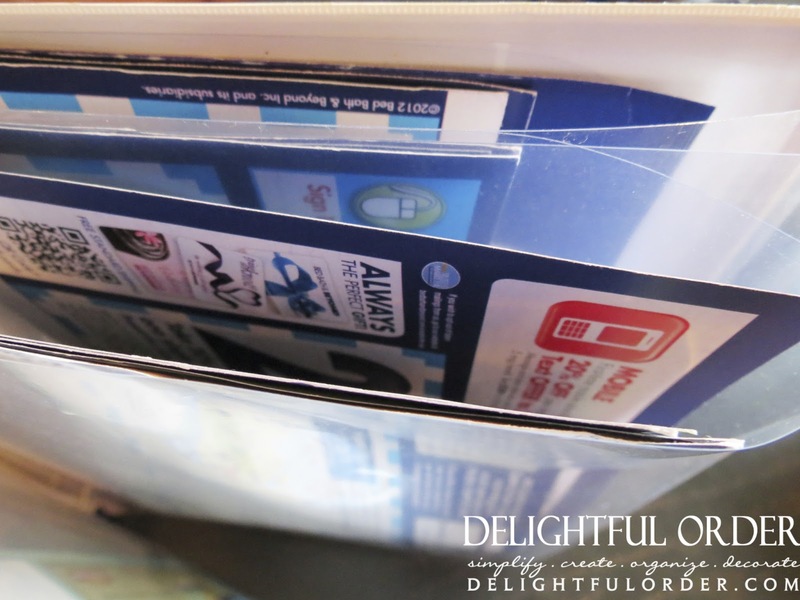 Inside my coupon binder, I use clear sheet protectors and place the coupons inside. 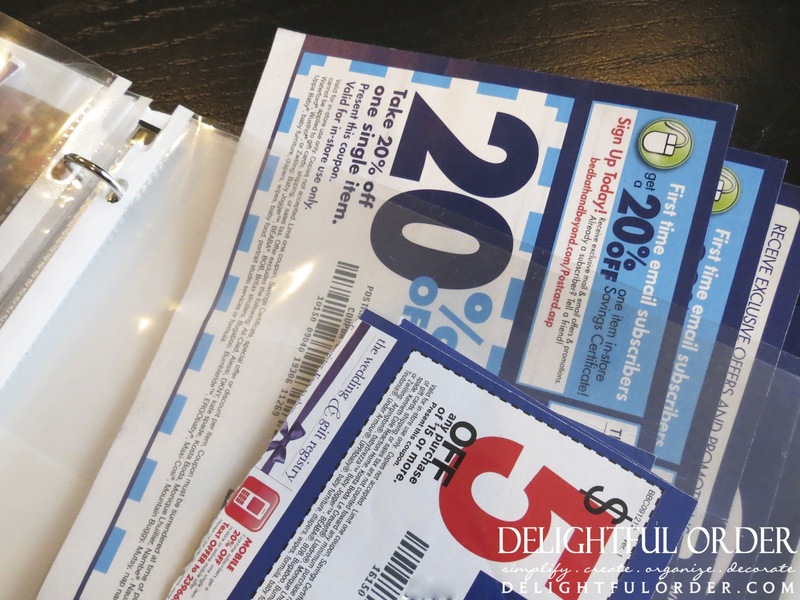 It's an easy way to keep track of coupons. There's been too many times that I'll be at a store and I don't have the coupon with me (which is very frustrating) so, I started leaving this binder in my car and now I always have the coupons with me. 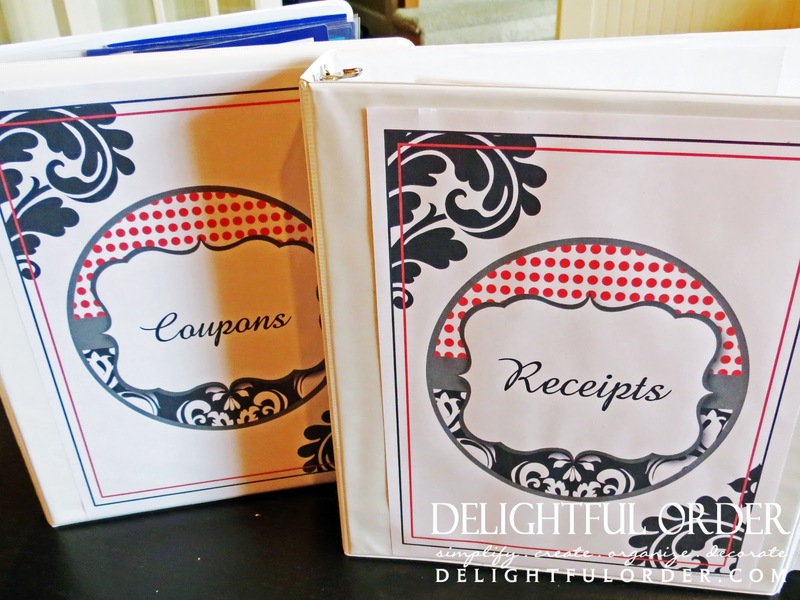 I've created an entire printable pack to organize receipts in a 3 ring binder. 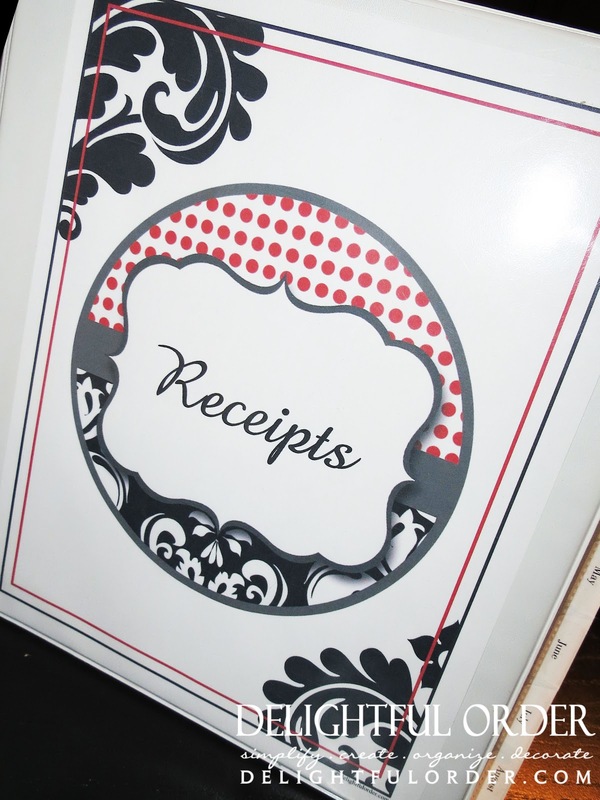 Simply purchase the printable set, print out and add to your binder. I love this system. It's been working great for me. ... and have divided the binder into months. I simply slide the receipts into the sheet protector for each month. Easy Peasy organization and I love it!! I love your systems! 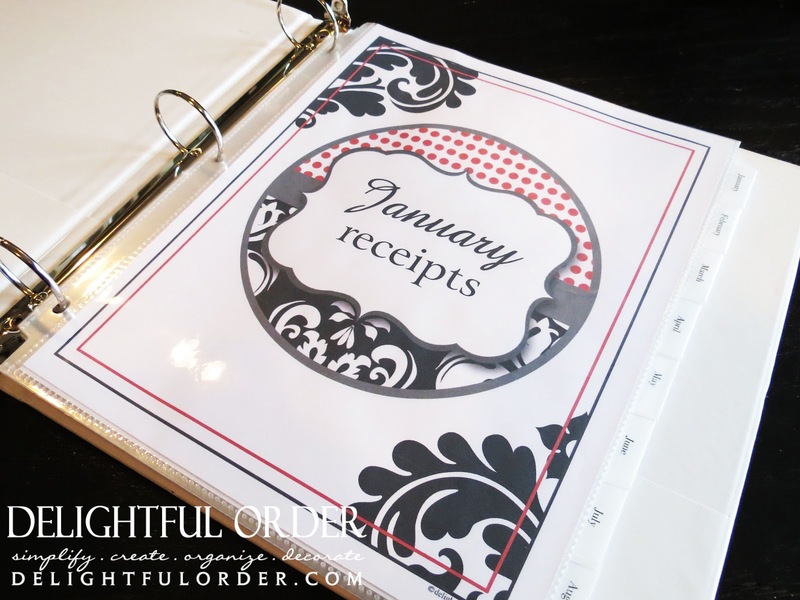 I have a question for you -- what do you do with your receipt binder at the end of the year? Do you just file them? If so, how? Sorry so many questions! Any important receipts are filed with the manuals (I discussed that when I showed you how I organize manuals, I wouldn't want to get rid of those receipts.) The other receipts I go through at the end of the year and sort the ones that are needed for tax purposes, keeping the ones that are needed. Then I shred the rest of the receipts. I have a bag in my purse that I shove all my receipts in....not nearly as pretty and organized as your system! Thank you for sharing!! 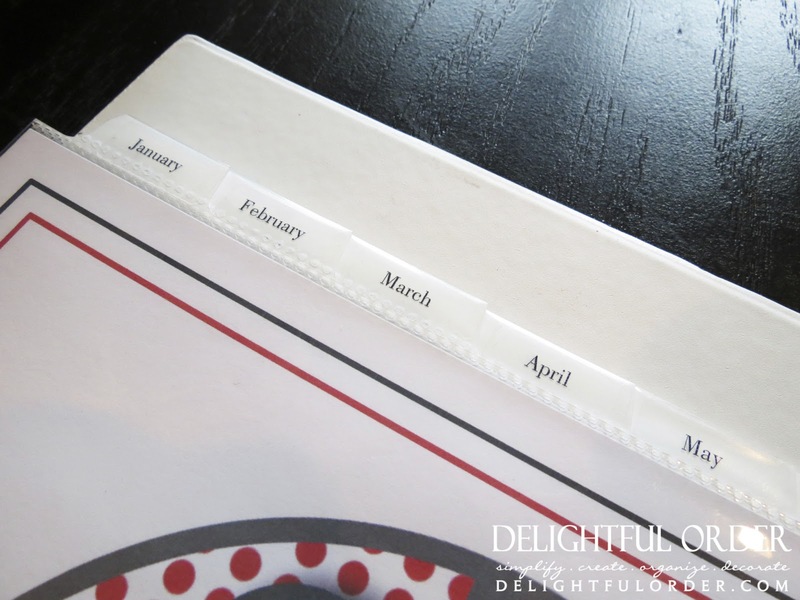 Where do you find dividers that extend past the sheet protectors? All the ones in stores that I see regular paper size, so they are not clearly seen when using sheet protectors. And I keep my coupons in the car too! Otherwise I would never remember to bring them. I have a question about organizing a lazy susan. I have two 3 tiered (tall) lazy susans in my kitchen and they hold baking supplies. I have looked all over for wedge shaped storage containers large enough to hold flour, sugar, etc. that would fit around the l.susan like slices of pie, but can find none! The have to be out there...or another solution to hold large amounts of baking supplies, spice packets, etc on a round surface. 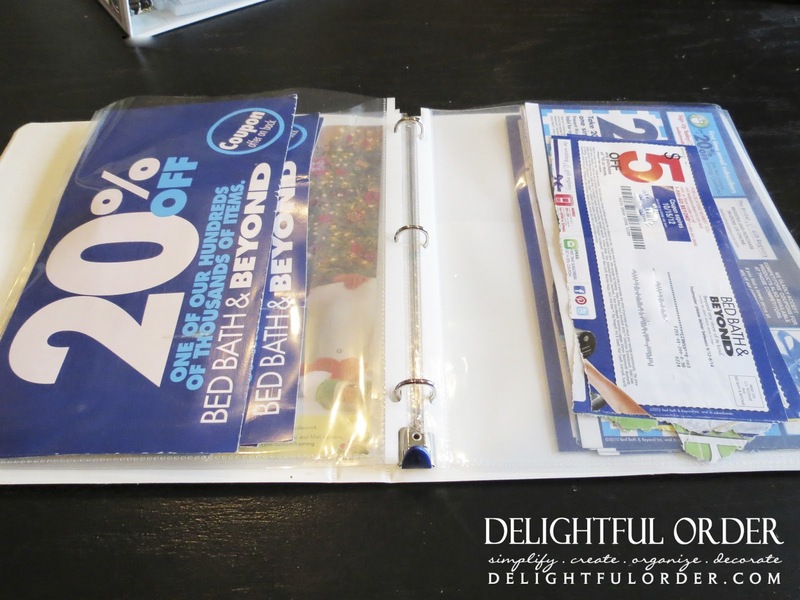 I love your idea about using the 3 ring binder/notebook for keeping store receipts and coupons, but with the exception of Bed,Bath and Beyond coupons, most receipts would probably fit in a smaller size binder/notebook and would take up less space. I purchased a smaller notebook (5 1/2 X8 1/2 in. )along with sheet protectors that size which I have the same size notebook(ruled with lines)in the back to take with me to craft stores or BB&B if I see something I like/want or need to buy another time. The BB&B coupons come in the mail almost every week it seems and they can be folded. A smaller notebook/binder could fit easier in a shopping cart or car door pocket so it's easy accessible when one goes shopping. BB&B doesn't care if they are expired either, they want the business!